"Bravery is learned, and like anything learned, it needs to be practiced." I saw this brief video clip of Caroline Paul, former firefighter and now best-selling author, on Facebook recently and was thinking about another post I had seen about the importance of risky play for children. Risk & Play: When you take a risk, your brain changes. Do you remember climbing to the top of a tree? Or swinging as fast as you could until you felt like you might fall off? 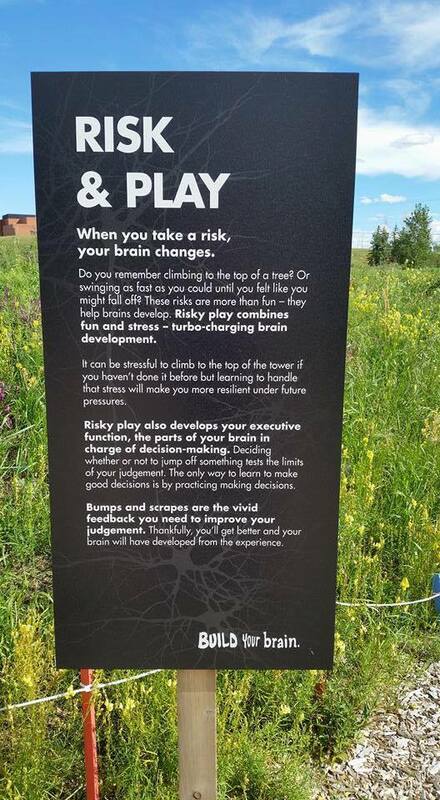 These risks are more than fun - they help brains develop. Risky play combines fun and stress - turbo-charging brain development. It can be stressful to climb to the top of the tower if you haven't done it before but learning to handle that stress will make you more resilient under future pressures. Risky play develops your executive function, the parts of your brain in charge of decision-making. Deciding whether or not to jump off something tests the limits of your judgement. The only way to learn to make good decisions is by practicing making decisions. Bumps and scares are the vivid feedback you need to improve your judgement. Thankfully, you'll get better and your brain will have developed from the experience). 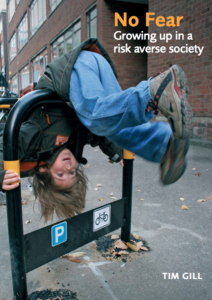 Risky play does not mean that we are putting children in danger. It means we are allowing them to push themselves and feel a bit of fear, and then overcome that fear. To climb, to jump, to hang upside down, to run so fast it feels like you might fall over, to swing so high that it feels like you just might go right over the top of the swing set! Do we socialize our girls to avoid risk while encouraging boys to engage in risky play? What lessons are our students taking from our messages around risky play? As educators, we need to be mindful - do we provide opportunities for girls and boys to engage in risky, physical play? We want to ensure that all students will be resilient, confident risk-takers. Thanks for sharing this post, Lisa! I actually blogged on a similar topic today, and as I see the link at the bottom of your post, I'm reminded that I have done some blogging on this topic before. I think there's a lot of value in risky play, and I loved the TED Talk that you included here. It's one that I've shared with parents too. What I find interesting is that in my experience at school, both girls and boys engage equally as much in risky play. Is this just in Kindergarten? When and why do things change? I think that I need to explore this more. Thanks Aviva. After publishing this post, I'm finding many more articles on this topic to explore, which I'll have to share in a follow up post. I wonder about when those gender shifts happen. Also, most of the articles I read equate risky play with outdoor play. Is there risky play indoors and, if so, what does it look like? Horror Movies - Yay or Nay?